I want to blur a picture in my video, I know it's a lot of work but I would like to know what's the best way to do this. Can someone recommend an application that's not too difficult to learn that will give good results. Encounter the same dilemma? Since the picture may contain content that you need, you can't simply delete/cut it. Don't worry. 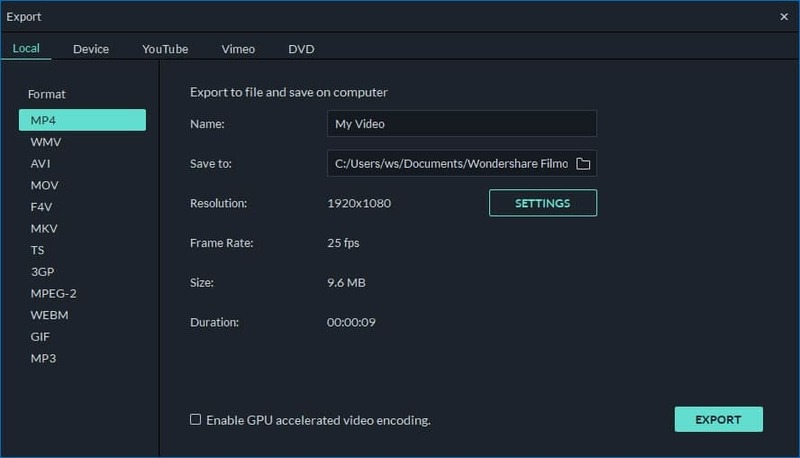 Here's a picture blur tool you can use: Wondershare Filmora. It's capable of covering up any part of the image to hide improper information or protect your privacy. The best part is you can do this in a simple click, no any hassle. Check the video tutorials about how to blur pictures in videos first. This program is cross-platform, please download the right version for your operating system. The following guide explains how to blur a picture in Windows, but Mac users can follow the same steps because two versions share the same features. Launch this program, click “Import” to pop up a browsing window and selecththe fileses you need. When all files displayed as thumbnails in the left item tray, drag and drop them to the Video Timeline. Right click the video clip that shows the image you want to blur, and select “Power Tool” option in the pop-up menu to access the Power Tool window. Then click "Mosaic" tab, tick off "Apply Mosaic to the clip" checkbox, and hit Add. There should be a selection tool appearing in the image to let you blur part of a picture with ease. Drag the rectangle to modify the blurring size and position as you like. If needed, you can also adjust the percent to achieve the best picture blurring effect. When satisfied, hit “Ok” to return to the primary window. Tips: If you want to cover only some part of the clip instead of the whole duration of your movie, you can split your video first by auto scene detection or the splitting function provided. 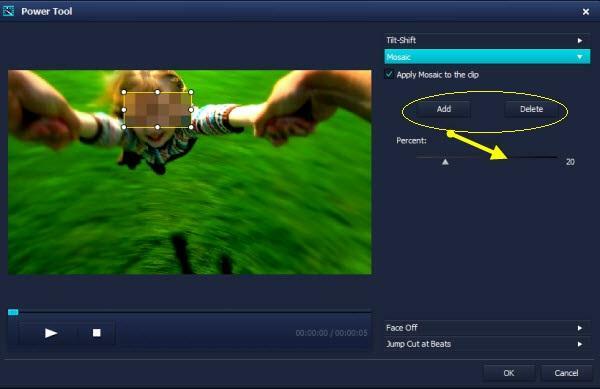 You've successfully blurred out part of a picture, now click “Create” to export your finished video. In the output window, you can select a video format to save to desktop, or publish it directly on YouTube, Facebook, or Twitter. Also, you can burn a DVD disk from your video in minutes with excellent quality. 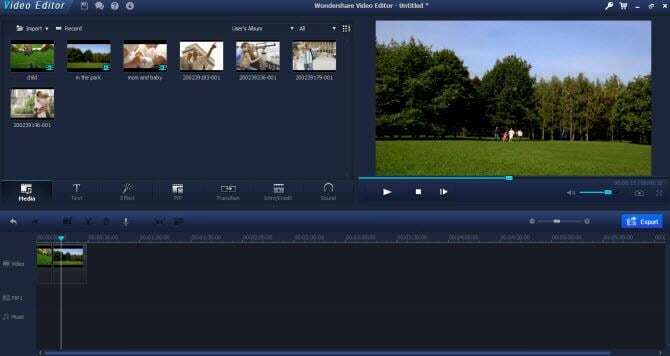 Besides enabling you to blur a picture in your video, this picture blurring editor is also a great helper if you want to remove audio from video, add background music, record voice-over, brighten your video, rotate to the correct angle, and more. Since the video blur software has so many amazing features, why not download it and have a try right now?